The best thing about November? Comfort food. 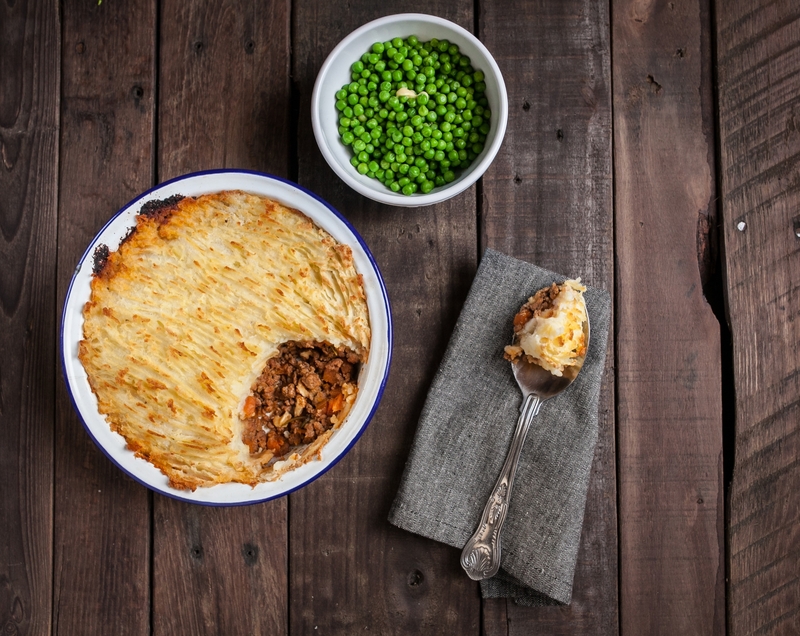 This week, we’re sharing our favourite, no-nonsense shepherd’s pie recipe. This is a straight-up, no nonsense recipe for Shepherd’s Pie. Replace the lamb mince with beef mince and you’ve got yourself a Cottage Pie. 1. Heat 1 tablespoon of sunflower oil in a large heavy-based pot (with a lid) over a medium to high heat. Add the mince and use a wooden spoon to break it up while cooking for 5 minutes or until browned. Remove with a slotted spoon and drain on kitchen paper towel. Discard any excess liquid leftover in the pot. 2. Turn down the heat to medium to low and heat the other tablespoon of sunflower to the pot. Gently fry the carrots, onion and garlic for 8 minutes, until the onions are translucent. Add the tomato purée, stir, and cook for a further 1 minute. Return the beef to the pot, pour in the stock and add the Marmite (if using). Stir well before adding the rosemary, a pinch of salt and pepper. Bring to a simmer, cover with the pot’s lid and allow to bubble away for 45 minutes to an hour, removing the lid for the last 20 minutes. You want the liquid to have reduced so that your mince mingles with a thick sauce rather than a watery gravy. 3. Peel and chop your spuds before boiling them in salted water for 20 minutes until soft. Drain well and return to their pot. Add the butter and milk and mash really well. 4. Transfer your lamb mince to a pie dish. Cover with blobs of mashed potato and then use a fork to smooth out the top layer of spuds. Dot with butter before baking in the oven for 20 minutes at 200c/180c fan/Gas Mark 6. We like our shepherd’s pie served with peas slathered in butter on the side.